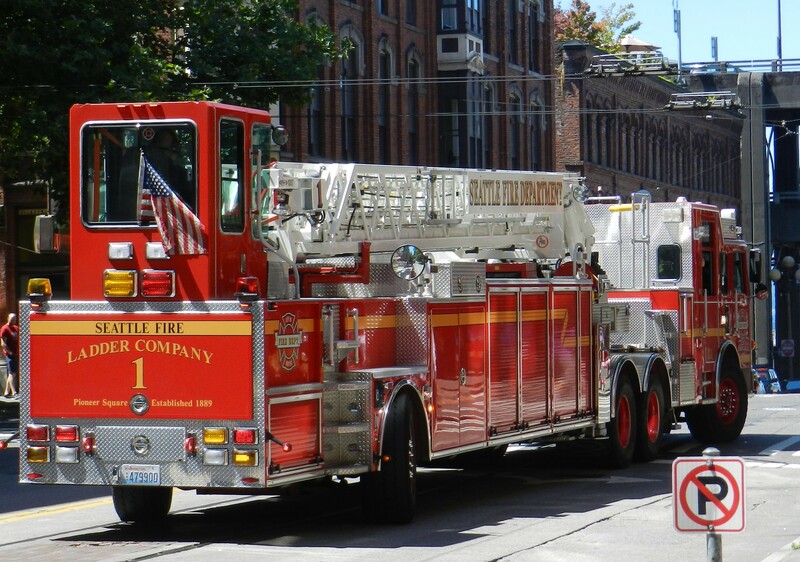 SEATTLE, Wash. – Seattle Firefighters were dispatched to a fire in a building located at North 65th Street and Phinney Avenue North at 1950 hours on Wednesday, May 9, 2018. Units dispatched were A31 Air9 B2 B6 DEP1 E16 E17E18 E21 E8 E9 L3 L8 L9 M18 MAR5 REHAB1 SAFT2 and STAF10. The first due engine reported flames visible on the exterior of a one-story single family residence (SFR), approximately 20 x 20 with E21 laying a pre-connect. Dispatch advised the location of nearby hydrants for arriving fire crews. The fire was quickly tapped. Firefighters and MAR5 (Fire Investigator) are still on-scene for investigation. No word of a preliminary cause or damage assessment was known at the time of this post.